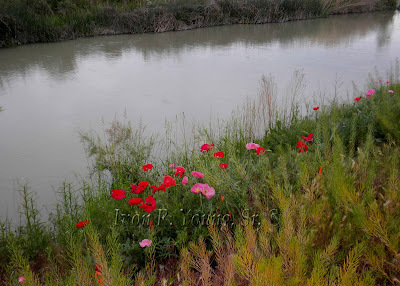 This picture was taken along the walking path, which follows the Jordan River from Draper to the Great Salt Lake. My brother and I were in South Jordan doing a two-mile walk. Enjoy! I love the flowers along side the water! PS, I like your watermark too!